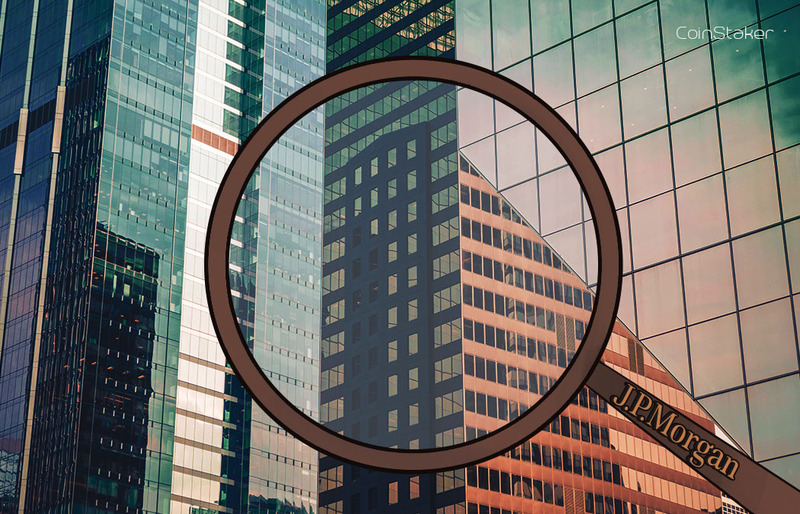 One of the largest Financial Institutions in the world, J.P. Morgan Chase believes in Blockchain technology and its usecases. The investment bank has pinpointed recently three public companies, which according to the company’s financial experts, will benefit greatly from applying blockchain technology to their applications. Clients were informed by a note about the investment bank’s forecast on IT companies. According to the forecast, IT companies will start deploying Blockchain technology the same way many firms are deploying machine learning and Artificial Intelligence (AI). This has led to many companies mentioning Blockchain technology. Most people think about cryptocurrencies when they hear about Blockchain, but Blockchain has a bigger potential than Cryptocurrencies. It will be a major layer like the Internet is and J.P. Morgan know it. Recently, the investment bank made a statement, saying that Blockchain technology is among their biggest priorities at the moment. J.P. Morgan Chase believes that these 3 companies will create substantial growth opportunities and offer corporate Blockchain usecases. Akamai Technologies Inc., DocuSign and Ellie Mae have the globally-known investment bank’s trust placed in them. J.P. Morgan shared with investors that replacing the middleman is a must priority. Investors should also be aware if trust is an issue and which companies will be in the best position to offer Blockchain as a service (BaaS). Sterling Auty, who works for J.P. Morgan as an equity research analyst explained why the investment bank chose precisely these 3 firms. According to Auty, Akamai was able to power its entire business through BaaS and many of its customers would prefer to use Blockchain rather than have a new service built from the ground up. DocuSign is already able to connect a blockchain network to its systems. The firm aims to fully digitize the contracting process. Auty believes that in time, the platform can shift its centralized security model for the distributed model, something that Blockchain technology provides. As for Ellie Mae, Aunti stated that real estate is by far the most “obvious” choice for Blockchain usage. He also noted that blockchain managing the entirety of the mortgage process would result in an increase between parties. This will also popularize the use of smart contracts. J.P. Morgal’s digital transformation initiatives show that Blockchain will be a key technology for the investment bank’s development. The study also covered the company’s interest in other developing technologies such as AI, robotics and big data.